For the second week in a row, archdiocesan Nutritional Development Services (NDS) offered food assistance to federal workers awaiting back pay lost to the partial government shutdown. “They say we’re supposed to get paid sometime this week, but I haven’t seen it yet, so we’ll have to see,” said May, who works for the Internal Revenue Service (IRS). She was one of several federal employees and contractors at a Jan. 30 emergency food market hosted by Xfinity Live! in South Philadelphia. Staff from NDS as well as Philabundance, Share Food Program and Campbell’s Soup Company were on hand to distribute a selection of hearty meal items — including soups, tuna, boxed macaroni and cheese, spaghetti, cereal and “protein-dense foods,” said Lizanne Hagedorn, executive director of NDS. According to The New York Times, the average federal worker missed out on $5,000 in pay during the 35-day shutdown, now the longest in U.S. history. On Jan. 25, President Trump signed a congressionally approved measure that provides funding until Feb. 15. A second shutdown remains a possibility if Congress and the Trump administration cannot reach an agreement on government funding after that date. The timing couldn’t be worse, said Hagedorn, given the recent schedule of the federal Supplemental Nutrition Assistance Program (SNAP), as well as a record-breaking cold spell sweeping the U.S.
With six children and a husband recovering from surgery, Treasury Department employee Christina agreed. 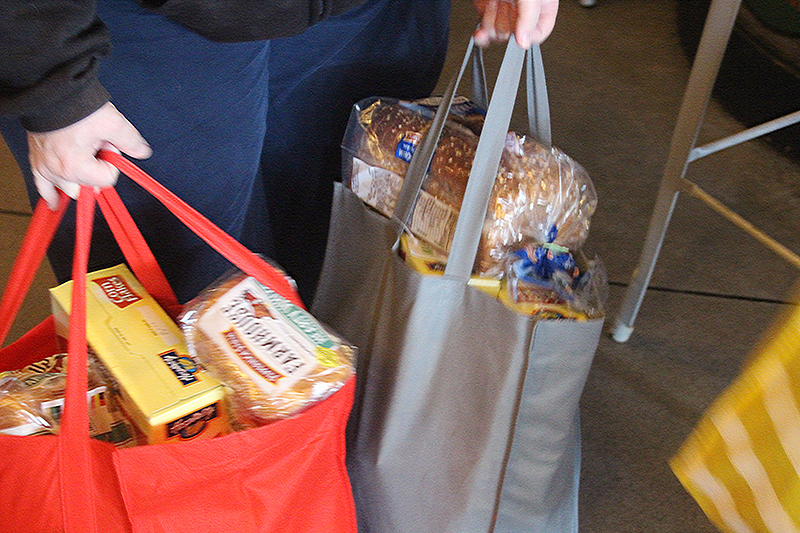 “The shutdown has definitely been a hit,” she said while carrying several bags of food from the emergency market to her car. “To have these resources is so important, because I’m scared that they’re going to shut down again,” she said. Hagedorn said that more than 250 workers attended the previous emergency market, which took place on Jan. 23 under the I-95 highway overpass at Front and Tasker Streets. “I think there would have been more had the market been open longer,” she said. NDS’s 2018 numbers are being finalized, but in 2017 the agency provided over 2.6 million meals for more than 168,000 seniors, 305,000 adults, and 204,000 children. 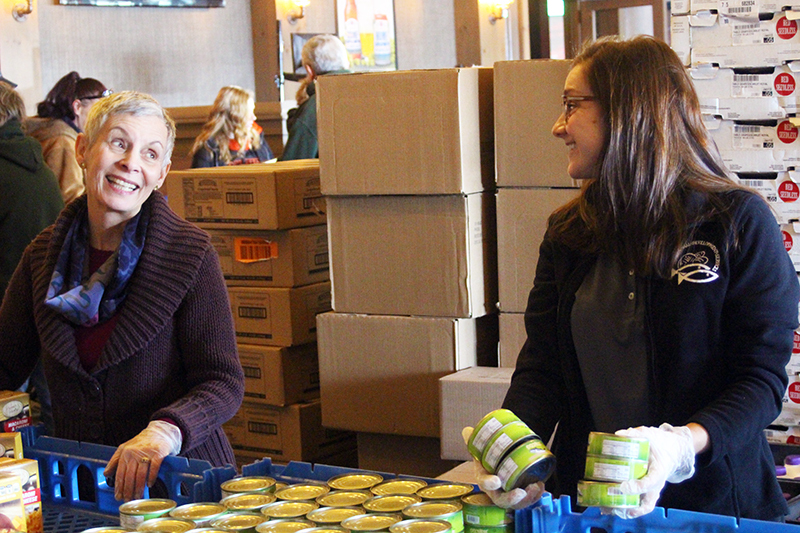 Founded in 1971, the agency is accustomed to meeting a range of food insecurity issues, but Hagedorn welcomed individual and parish donations to assist with the emergency food market. “We’re doing a fundraiser through our campaign on YouGiveGoods.com, where you can specify what food items and what baby items you’d like to help with,” she said. “I can get food here and then use money for the other bills, since I don’t know what’s going to happen,” she said.